One of the hardest decisions an individual faces when they are struggling financially is to ask for help. Sacramento Bankruptcy Lawyer Pauldeep Bains is here to make that step, and each step along the way, as easy and stress-free as possible. Whether you are drowning in credit card debt or are facing a home foreclosure, Mr. Bains is ready to evaluate your finances with you and establish a creative plan to get you out of the financial struggle you are facing. Pauldeep Bains has filed hundreds of bankruptcy cases in his career and his results are exceptional. If you need to file a Chapter 7 Bankruptcy case because a credit card company is attempting to garnish your wages, Mr. Bains will be able to quickly and efficiently evaluate your situation and move your case forward without wasting any time. Or if you need to file a Chapter 13 Bankruptcy case to stop your home from foreclosing, Mr. Bains will be ready to begin working on your case immediately and crafting a Chapter 13 plan to tailor your needs. Click here to setup an appointment today! 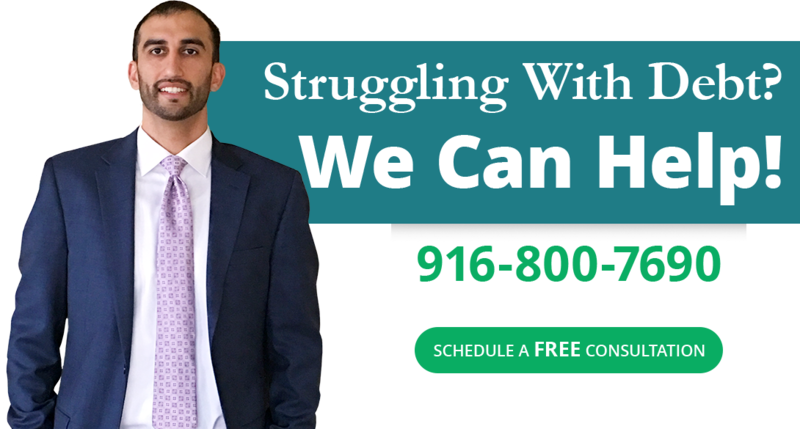 Upon contacting Sacramento Bankruptcy Lawyer, you will immediately be scheduled a free initial consultation with Mr. Bains. Mr. Bains will answer any and all questions that you might have. To accommodate your schedule, the initial consultation can be done in person or on the phone. Once you’ve retained our office, you will be tasked with completing our simple & easy to follow Bankruptcy Packet. This will assist our office in preparing your Bankruptcy Petition for filing with the Court. Upon completion of the Bankruptcy Packet, a follow-up meeting will be scheduled with Mr. Bains. In this meeting, Mr. Bains will review the completed Bankruptcy Packet with you to ensure it’s completeness. Mr. Bains will now use his expertise to personally prepare your Bankruptcy Petition. This will include the Voluntary Petition, Schedules, Statement of Financial Affairs, and if filing for Chapter 13, your Chapter 13 Plan. Mr. Bains will now review with you the initial draft of your Bankruptcy Petition. Mr. Bains will ensure that you understand the contents of the entire petition prior to moving forward. Any modifications and/or edits will be made at this time. A final draft of the Petition will be prepared for your signature. Both you and Mr. Bains will sign the final draft at this time. Once the final draft has been signed, we will now electronically file your case with the Bankruptcy Court and provide you with a case number. Upon filing your case, you will be required to provide certain documents to your assigned Bankruptcy Trustee pursuant to 11 U.S.C. § 521. Our office will gather those documents and send them directly to the Trustee on your behalf. Within 30-45 days of your case being filed, you will be required to attend a Meeting of Creditors pursuant to 11 U.S.C. § 341. Mr. Bains will prepare you for this meeting and will appear with you at the scheduled day and time. If filing for Chapter 7, the 341 Meeting will typically be the last thing that you are required to do in your case. If filing for Chapter 13, your payments to the Trustee will begin and Mr. Bains will assist you in confirming your Chapter 13 Plan. Paul is an excellent lawyer, from the first time I met him he put me at easel, and kept me well informed. I would definitely recommend him to any one who is thinking of bankruptcy. Paul was great! He is very knowledgeable and cares about his clients. He understand and hear without judgement. He responds to emails and phone calls right away. I would highly recommend him for those need advice. Thanks, Paul. Paul was very professional and cordial. He advised about the best option and solution to resolve the issue at hand. Paul too time to explain everything and made me feel comfortable. The actual process was smooth, quick, and painless. I would recommended Paul to anyone looking to take the leap and straighten out their fiscal challenges! Paul is a great guy that takes the time to explain everything and makes you feel comfortable. The process was smooth, quick, and painless. We absolutely recommended him to anyone looking to take the leap and straighten out their finances! As a financial consultant, I've dealt with Paul on numerous occasions. As always, Paul was/is there to guide me through the "bankruptcy laws" in order for me to serve my clients better. 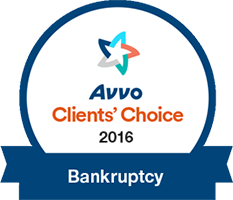 I highly recommend Paul and his expertise in Bankruptcy Law or any other legal services. One word that sums him up is: GENUINE. He ACTUALLY cares. I would recommend Paul Bains to anyone who needs a bankruptcy attorney. He is someone who care about your situation and will help you find a solution. I am definitely happy that I chose Paul Bains at Sacramento Bankruptcy Lawyer to represent my family in a legal matter. He kept me informed every step of the way, and made us feel really comfortable with the entire process. I will continue to recommend Paul Bains to all of my family and friends. I have referred individuals over to Paul over the years and he has handled them all with first class service. He has a wealth of knowledge that he is able to apply to the variety of scenarios I send him. He has been a great resource for me and I definitely plan on using his services in the future. I had Paul as my Bankruptcy attorney and was great he knew how to make it all work so that I wouldn't have any issues. He is very knowledgeable and truly cares. I would definitely refer him to anyone looking into going through the bankruptcy process since he made it so easy. Paul Bains was a great attorney. He explained everything to me from beginning to end and discussed all my options before we started the case. I recommend anyone to Paul if they want a good experience!! Paul Bains is a tenacious and knowledgeable lawyer. 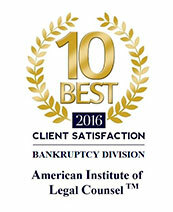 He has extensive experience with bankruptcy laws and knows how to navigate through the laws to achieve the best results for his clients. I have referred clients to the Sacramento Bankruptcy Lawyer team and I highly recommend them to anyone who needs a great lawyer. Awesome consultation from Mr. Bains...thoroughly answered all the legal questions I had for him. Highly recommend Sacramento Bankruptcy Lawyer. Paul is great! From first time we met until we finished everything up, it was first-rate all the way. He says what he's going to do and he does it. I would recommend Paul without hesitation. Paul's one of the most professional and easy to work with lawyers I've met. He is down to earth and a straight shooter. If anyone is in need of bankruptcy help, I send the person to Paul Bains. Excellent at his craft. Takes care of business in a timely manner. Couldn't have asked for a better lawyer to represent me. Mr. Bains is very professional. He explained all options and scenarios. Very informed about different aspects of Law. Mr. Bains has been an extraordinary attorney. My husband and I are very grateful to have him represent us. Mr. Bains has allowed us to handle this stressful situation with dignity and recover from our financial crisis. Mr. Bains has handled our case with clear and constant communication, professionalism, helpfulness, and has been very personable. Paul Bains RESPONDS to phone calls, emails and text. You are NOT just another number, or client in the data base - he is personal, caring, and gives attention to detail. Since I had to go through this, I am most certainly glad that I had Paul in my corner. I will always say that he is THE BEST at what he does, thanks Paul. Paul was very understanding of my financial situation. He helped calm my nerves during the hearing as I suffer from anxiety. Thank you so much for all you've done!!! I definitely will refer anyone requiring your assistance in the future. My wife and I owed over $1,000,000.00 to various creditors. Mr. Bains was the best! He worked around our crazy schedule and was always available to answer any questions we had. Mr. Bains was unlike other attorneys who I’ve dealt with in the past who are just after the money. I’ve referred other people to him and will continue to do so!!! We were about to lose our home. My wife and I were extremely stressed and did know what to do. After speaking with Paul, we both felt a sense of relief that we hadn’t in months. He explained to us the process of Chapter 13 and was very patient in doing so. Paul saved our home and we are forever thankful for all his efforts! No, you are not required to hire an attorney. 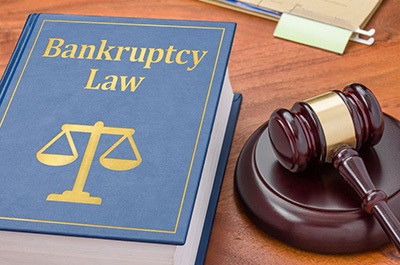 However, filing for Bankruptcy without the assistance of a knowledgeable Bankruptcy attorney might get you in more trouble than you expected. Having the Trustee sell your assets without your permission, having your case dismissed because you miss an important deadline in your case, or having your discharge denied are just three of the many risks you face if you file for Bankruptcy relief without the assistance of an experienced Bankruptcy attorney. It depends. One portion of the fee is a court filing fee that is required in order to file your case. The court filing fee is $335.00 for a Chapter 7 filing and $310.00 for a Chapter 13 filing. The other portion is the attorney fee and this depends on your particular case. Schedule a FREE consultation with our knowledgeable Chapter 7 and Chapter 13 Bankruptcy attorney ASAP to discuss your case and to receive your free quote. Yes. We understand that a lot of times those that are filing for Bankruptcy do not have the up-front fees to pay for an attorney. In those situations, we offer generous payment plans in which we can move forward with the particular case immediately and receive the fees on a monthly payment plan. Will my credit be ruined forever if I file for Bankruptcy? Absolutely not. In fact, filing for Bankruptcy will in most cases start the process of increasing your credit score. The reason for this is because one major factor in determining your credit score is “debt to income ratio”. With significant debt on your credit profile, your credit score will consistently remain bad. By filing for Bankruptcy and discharging your debts, you can quickly turn that around. Will I be able to buy a home after filing for Bankruptcy? Yes. As long you take the necessary steps to rebuild your credit post-bankruptcy, you can qualify to purchase a home in as little as 18-24 months. As soon as you retain our firm, our skilled Sacramento Bankruptcy Lawyer will advise you to tell any creditor that contacts you that you have retained our office and that your Bankruptcy attorney has advised you not to speak with them. This will generally get them to stop calling you immediately and they will start calling our office instead. Moreover, as soon as you actually file the Bankruptcy case, creditors are legally required to stop calling you. A Bankruptcy can stay on your credit report for up to 10 years. However, the important thing is to start rebuilding your credit as soon your Bankruptcy is complete. If you take the necessary steps post-bankruptcy in rebuilding your credit, you will be amazed as to how quickly your credit score bounces back. While the length of your bankruptcy case will depend on several factors, most Chapter 7 cases will receive a discharge in approximately 4 months. A Chapter 13 is a longer process and will require you to be in the case for 3 to 5 years. I still owe money on my car and I don’t want to lose it. Will I be able to keep my car if I file for Bankruptcy? This depends on several factors. In short, if you are able to protect any equity in the car with the necessary exemptions and you remain current on the payments, you have a good chance of being able to keep the car in a Chapter 7. Moreover, if you file a Chapter 13, you will have the ability to include the car loan in your 3-5 year Chapter 13 payment plan and potentially even reduce the interest that you pay on it. I just got served an earnings-withholding order (i.e. wage garnishment) for an unsecured loan that I didn’t repay. What is going to happen now? Now that you have been served a wage garnishment order, your employer is required to start withholding a certain amount of money from each of your future paychecks until the balance is paid in full. Generally, the amount that they will withhold will be equal to 25% of your disposable earnings. That means each paycheck you receive moving forward, 25% of your net-income will be sent to the creditor that issued the wage garnishment order. One way to stop this from ever occurring is to file a bankruptcy. Once the Bankruptcy has been filed, they are no longer allowed to garnish your wages. Our office can sometimes have your Bankruptcy filed the same day you contact our office in emergency situations to sop the garnishment from ever taking place. I am current on my credit card payments. Why should I consider filing for Bankruptcy? In a lot of cases, people are tens of thousands of dollars in credit card debt but are still current on each payment. In these situations, it is a smart decision to speak with our experienced Bankruptcy attorney regarding the different options you have. For example, a person making the minimal monthly payment on $20,000.00 of credit card debt will very likely end up paying twice that amount back over the next 5-10 years when accounting for interest, late fees, etc. All the while, this person’s credit score is stuck at a mediocre score because of the large amount of debt on their credit. If the same person had filed for Bankruptcy, they would have saved tens of thousands of dollars and would see their credit score start drastically rising as soon as they receive their discharge.